According to a new study published in the Journal of Obstetrics & Gynaecology, using surgical robots for procedures on the ovaries, fallopian tubes or ovarian cysts is associated with higher costs and does not produce better outcomes. The study showed that robotically assisted adnexal surgery had a small but statistically significant increase in complication rates as compared to laparoscopy. In addition, the median total cost of a robotically assisted procedure was higher than laparoscopic surgery for the same procedure - for example for oophorectomy, the cost was $7,426 with robot-assistance as compared to $4,922 through laparoscopy. The study authors also had some concerns regarding the use of bundled payments for adnexal surgery and whether it meant lower reimbursements for physicians who choose to use a surgical robot as well as patients who would incur higher out-of-pocket costs. 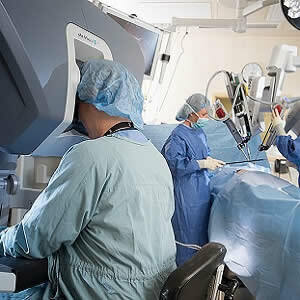 Several experts have already questioned the higher costs associated with surgical robots as well as the clinical evidence regarding their use. 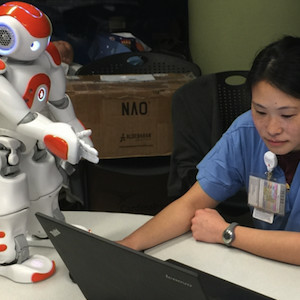 Surgical robots can cost a healthcare provider anywhere between $1.5 million to $2 million to purchase. The use of robotic surgery for procedures such as hysterectomies is on the decline. Intuitive Surgical is the only company that sells robotic systems approved by the FDA. While 1,500 hospitals in the US have installed the da Vinci Surgical System, the company's second quarter sales of new systems have shown a decline of 34 percent.